The Daily Vote â€“ Can Kevin Keegan turn Newcastle around? 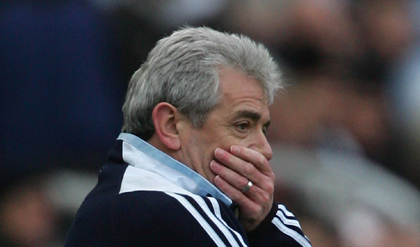 Kevin Keeganâ€™s second coming at Newcastle hasnâ€™t quite gone according to the prophecy â€“ he has managed only two draws from his first ten games and all attention has now turned to staving off relegation this season. Fergie doesnâ€™t think so but let us know if you think King Kev can bring the glory days back to the Geordies or if ‘Keggers plays Flop’.